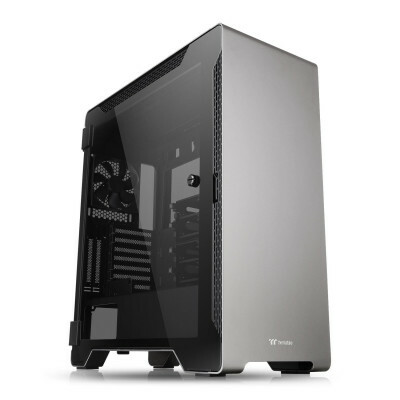 Thermaltake A500 Aluminium Tempered Glass Edition mid-tower chassis features a sleek aluminium front panel, two 4mm tempered glass panels, two pre-installed 120mm front fans and a 120mm rear fan for optimal system ventilation. 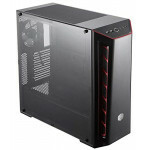 It has a built-in power supply cover for clean and easy cable management and also supports up to a standard ATX motherboard. Accommodating the latest PC hardware including the most advanced graphic cards and air/liquid cooling solutions, the A500 Aluminium TG is designed for those who are looking for a chassis with outstanding thermal performance that is further complemented by a clean and simply designed case. 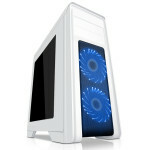 The A500 Aluminium TG chassis is built to be sleek and minimalist. 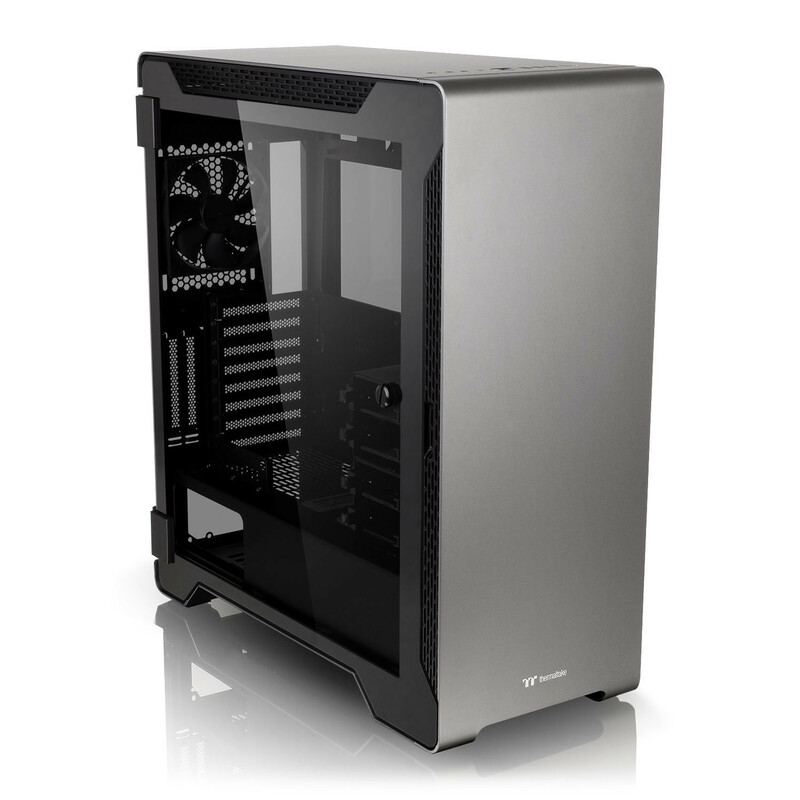 The clean aluminium front and top panels hide the ample air intakes, and the power supply cover gives you plenty of space to route cables and clean up the build. Featuring aluminium panels created by high precision CNC digital cutting to ensure chassis security, while at the same time providing a futuristic gaming aesthetic. The aluminium anodizing process enables the panels to be both water and corrosive resistant as well. 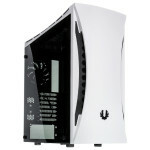 The aluminium casing utilizes CNC milling technology and was sandblasted to help shape the elegant and sleek curves. Two hinged swing-doors with premium-quality 4mm thick tempered glass design guarantees window durability and viewing capability to encourage users to thoroughly display superb inner components. 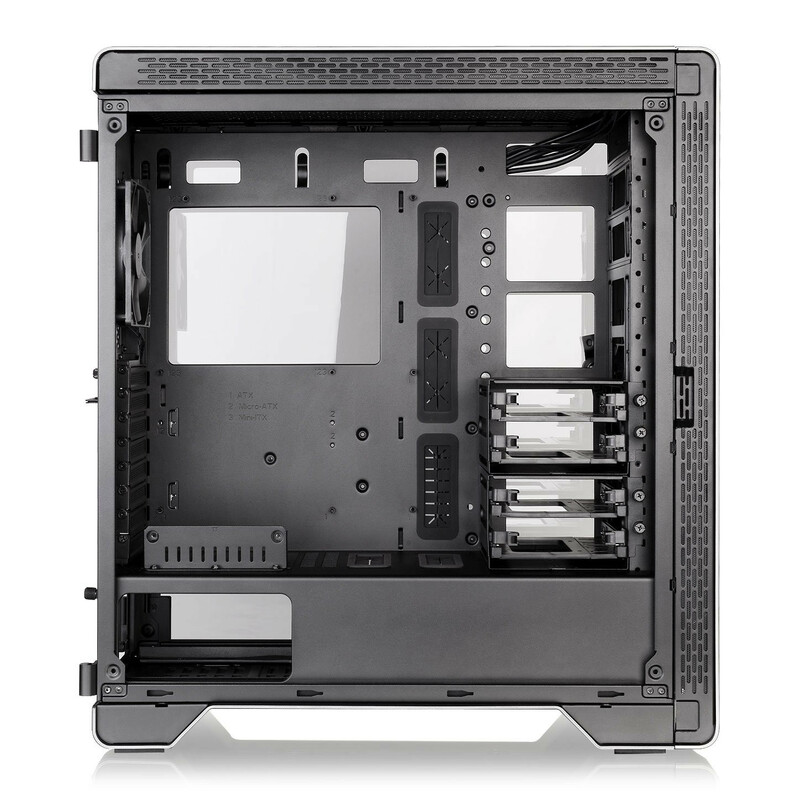 The A500 Aluminium TG comes with tool-free drive cages to provide the ease of installation/removal of backup drives. 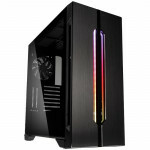 Fully maximize the interior space for highly customizable layouts, users get to mount up to four 3.5”/2.5” HDD inside the left side panel or on top of the PSU cover. 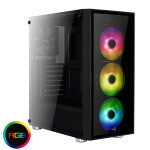 The A500 Aluminium TG has outstanding expandability, with support for a CPU cooler with a maximum height of 160mm, combined with a dual expansion slot VGA of up to 420mm in length without an HDD rack, as well as a power supply with a length of up to 220mm. 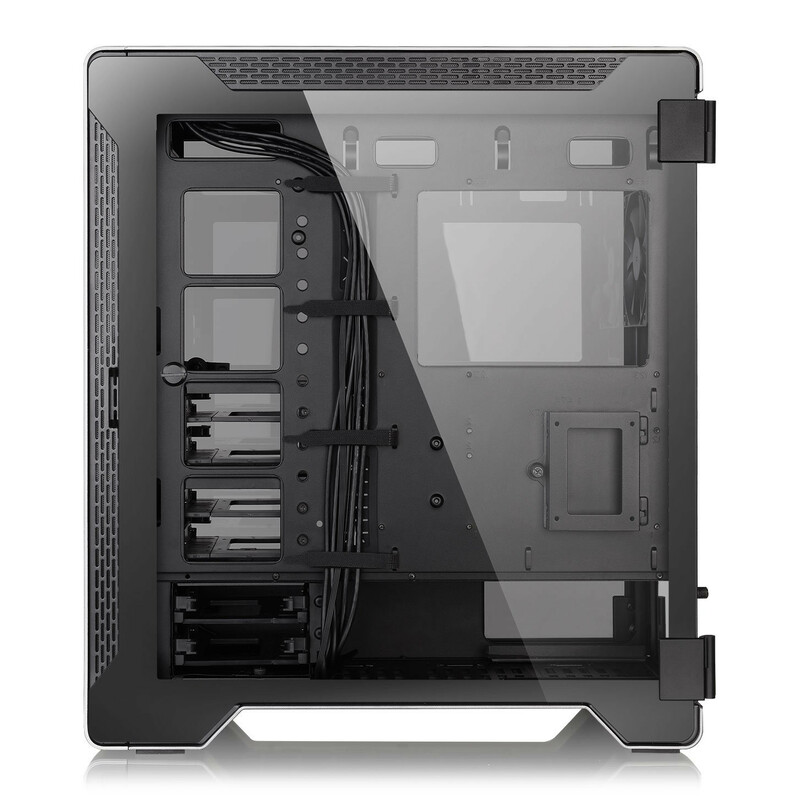 Moreover, the hidden drive bay design guarantees expandability for even more liquid cooling configurations.